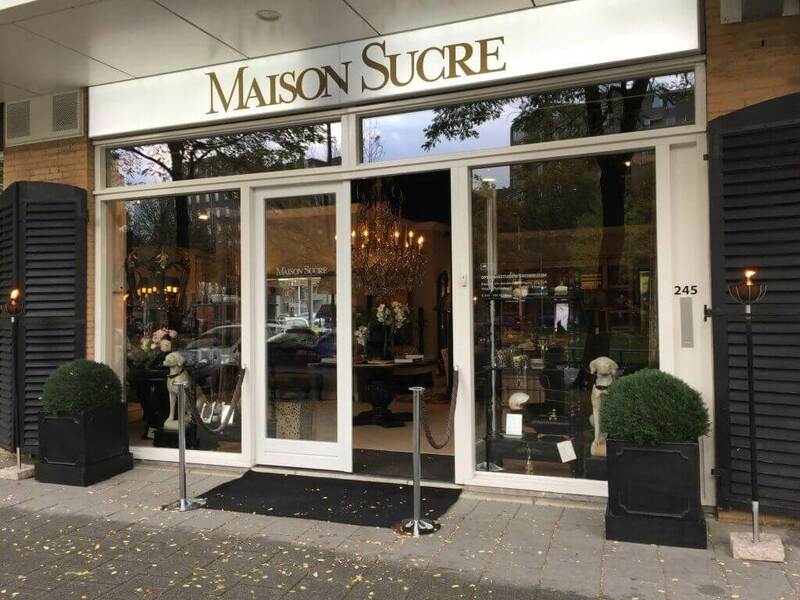 As soon as you step inside the Maison Sucre showroom you enter an opulent and stylish world full of comfortable seating upholstered in rich fabrics. Style rooms radiating a wonderful ambiance form a source of inspiration finished off with luxurious curtains and extraordinary decorative pieces. This effectively provides you with a complete picture of how you could live. And the great thing is that you can assess the furniture’s comfort and feel the fabrics and materials for yourself. In fact the Maison Sucre style cannot be expressed in a single word, it is a mix of exciting contrasts of colours, patterns and materials, classic, sleek design and elegant forms. This combination ensures that Maison Sucre interiors are stylish, rich and original. Experience the ambiance first-hand and pay a visit to our atmospheric showroom. Of course, you can also just come and look for a beautiful sofa, armchair, dining table or other items to complete your interior. You can visit our showroom from Tuesday to Saturday inclusive from 10:00 to 17:00. We’d be delighted to welcome you to our showroom.